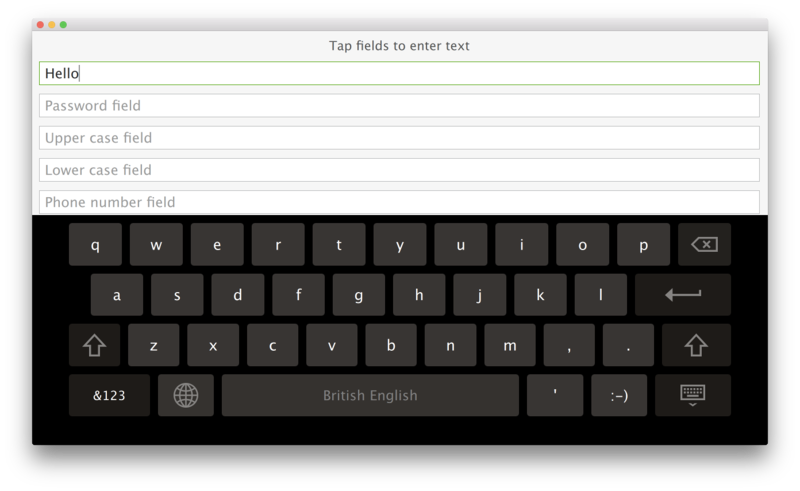 This is a basic QML example that uses the virtual keyboard. Besides this, it uses custom TextField and TextArea items to configure the [ENTER] key behavior using the EnterKeyAction attached property. The TextField and TextArea controls extend the respective Qt Quick Controls 2 types with enterKeyEnabled and enterKeyAction properties. The TextField and TextArea instances in the snippet can set these properties to change the default behavior.